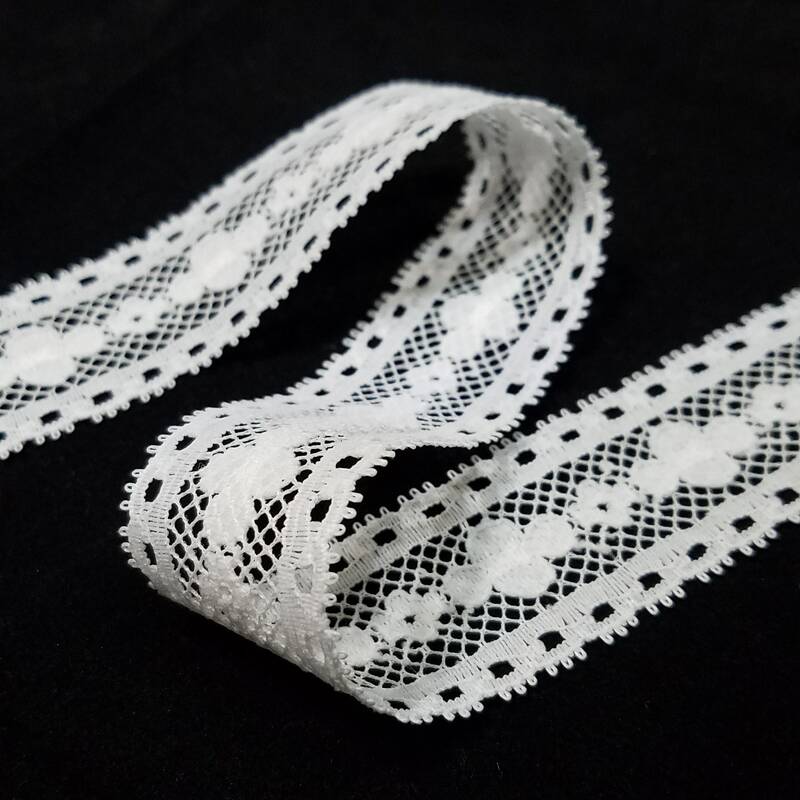 This vintage lace is in excellent condition. 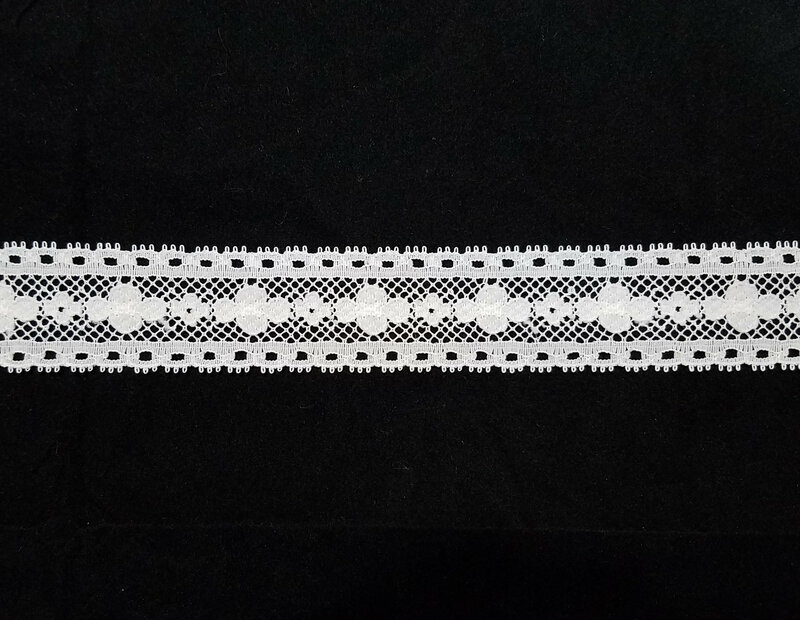 It features a floral design with eyelets. 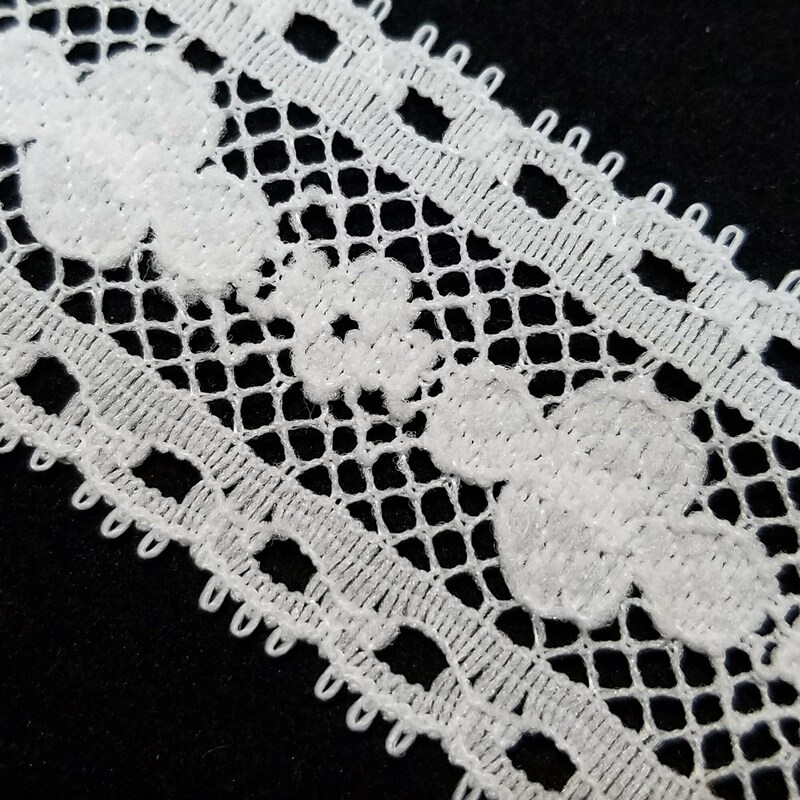 The lace can be used for apparel, crafts and home accessories. 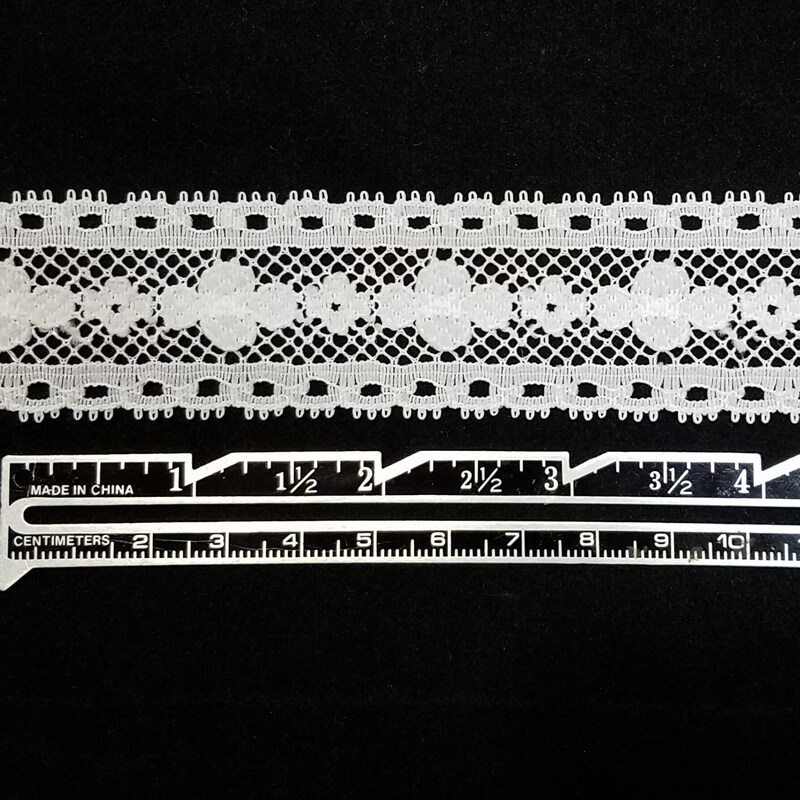 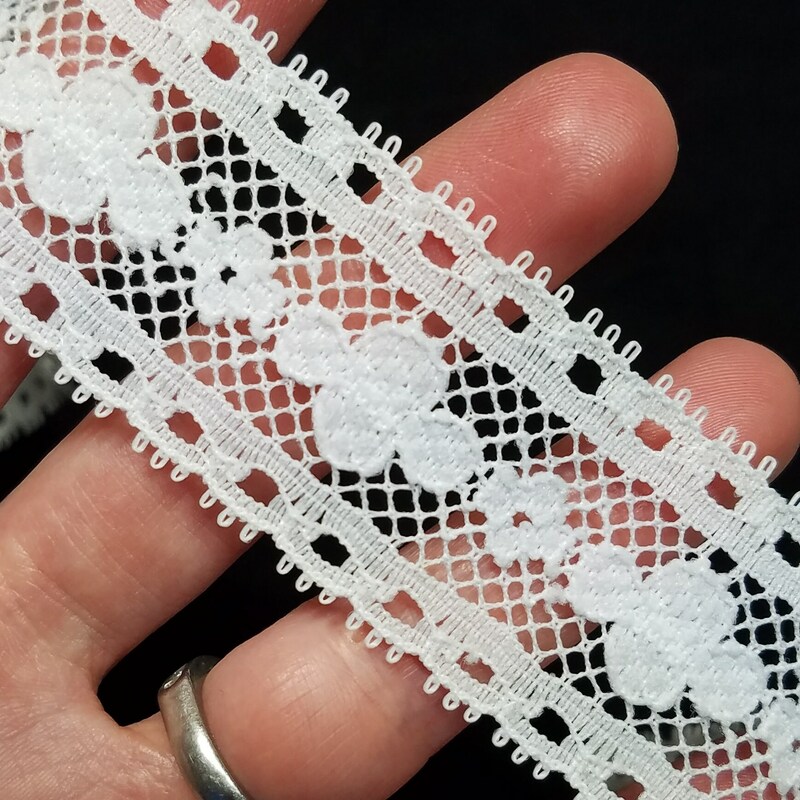 The lace is 1 1/8 inches (2.9 cm) wide, not including the small "loops" on each side. 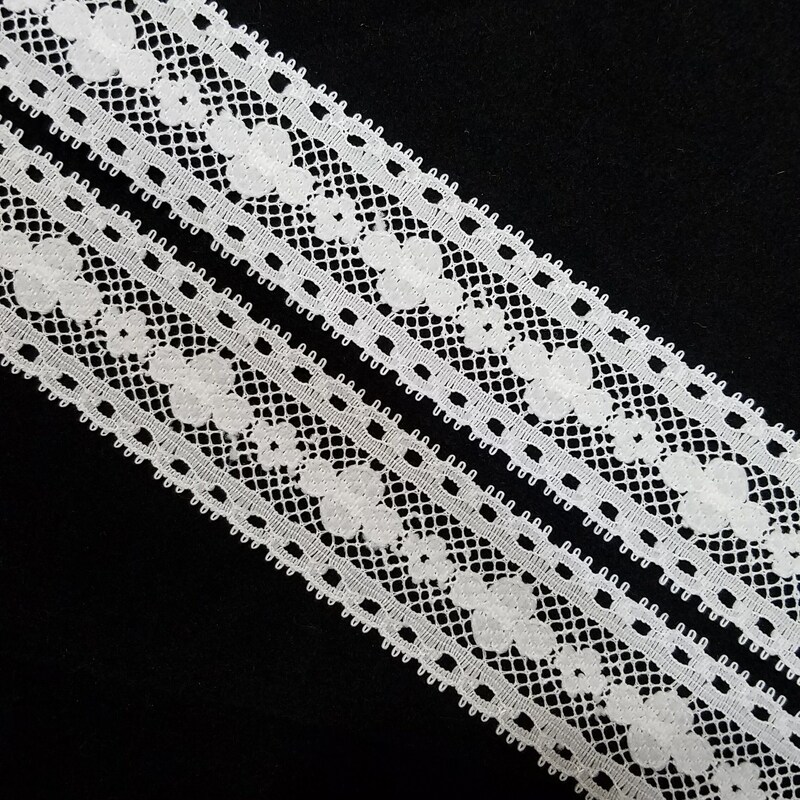 The trim lies flat (not a ruffled trim) and has a slightly stiff drape. 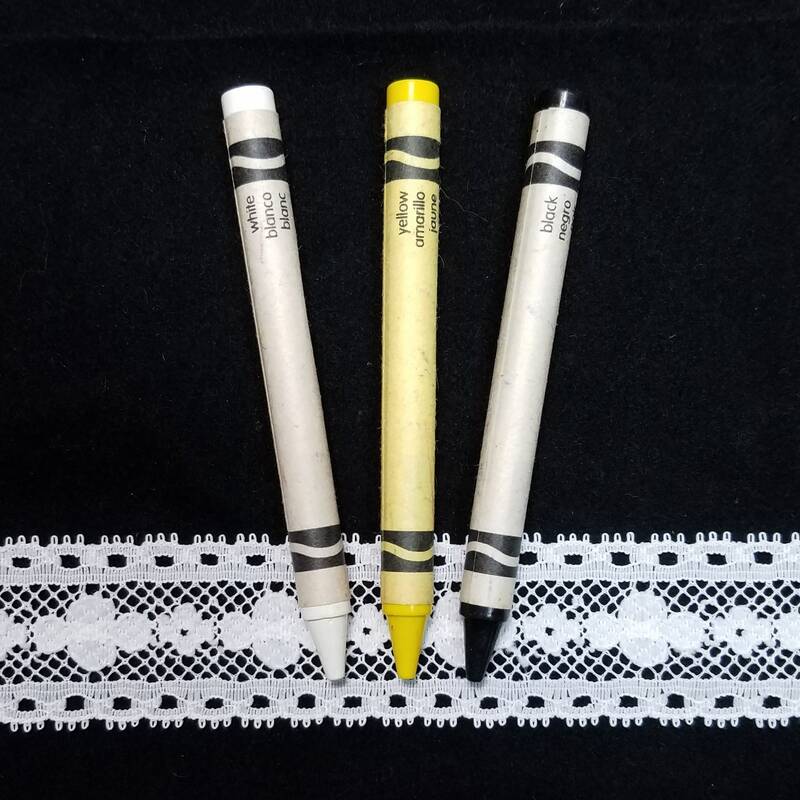 The last photo shows the lace with a Crayola brand crayons for color comparison. 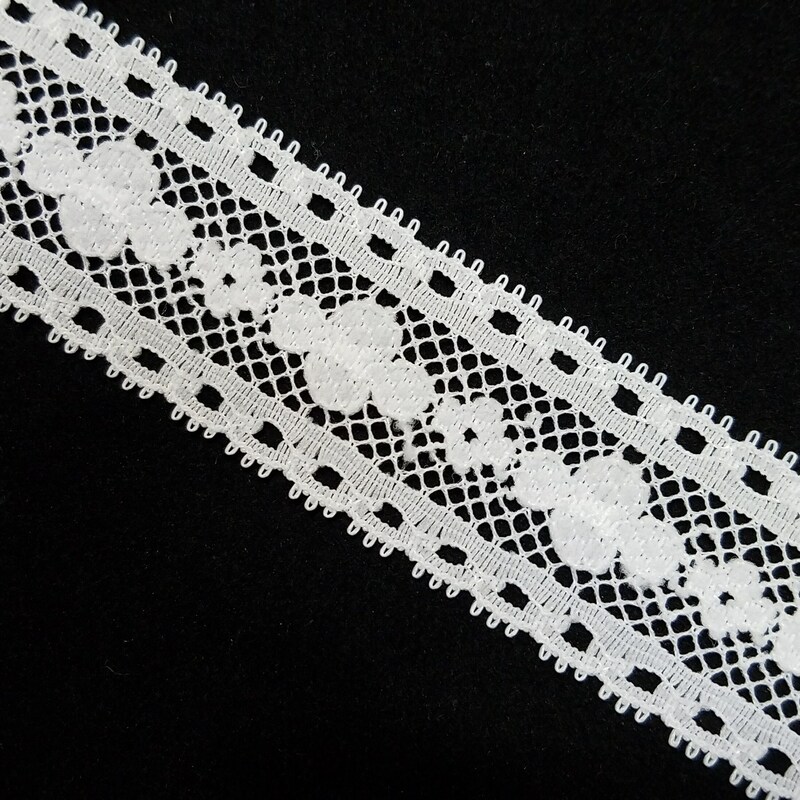 This lace is a white color. 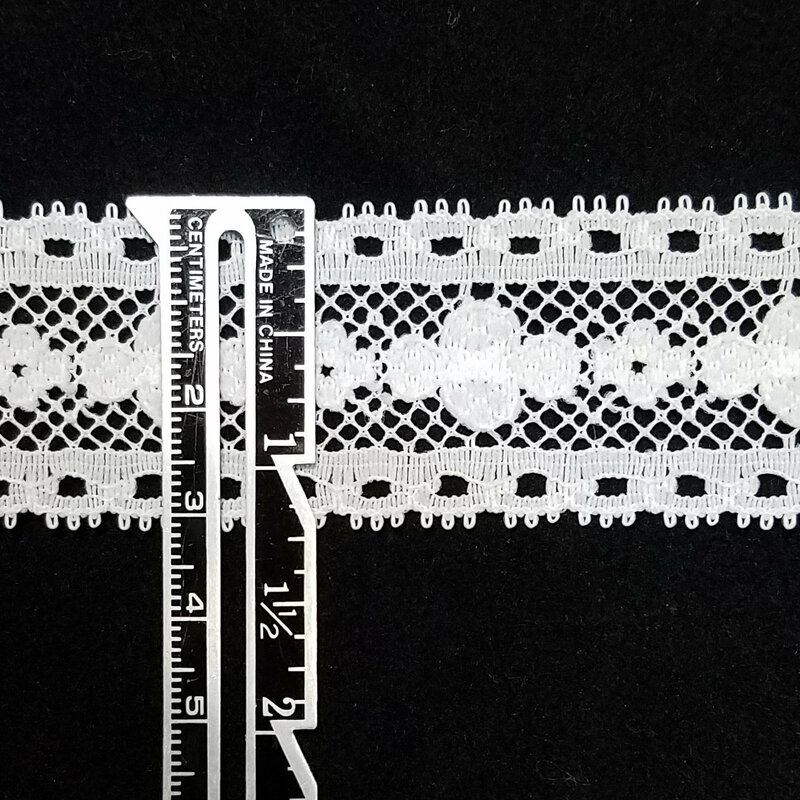 I believe that this trim is made primarily of nylon.